With less than a month to go before Christmas, Keri Russell is starting preparations for the big holiday with a little help from her two children and co-star boyfriend Matthew Rhys. 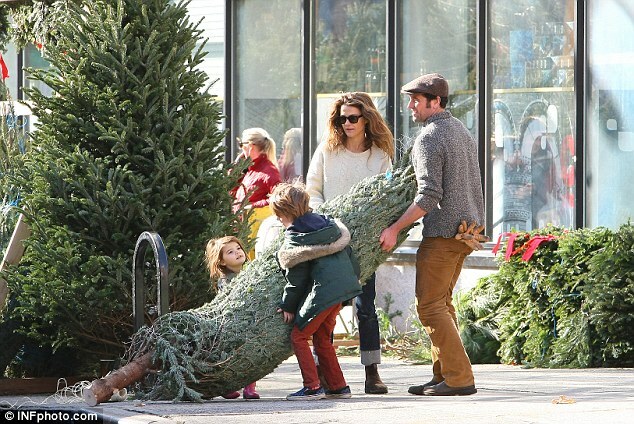 The 38 -year-old actress went Christmas tree shopping on Sunday in Brooklyn, New York, and the whole clan helped carry the large tree. Looking comfortable in a white sweater, jeans, brown boots and sunglasses, the brunette star and Matthew lugged the wrapped tree to the car. Matthew, 40, who sported tan trousers, a grey jumper and a flat cap, has been romancing the actress for several months according to reports. In April, People magazine reported that the pair were officially dating following months of speculation about their relationship. The pair, who played Elizabeth and Philip Jennings, in the original FX series exclusive, The Americans – were first pictured on a date, taking in the play Library at The Public Theatre in New York. After a highly praised premiere episode, aired last January 18, 2013 on cable FX, with solid ratings, The Americans may not possess the buzz appeal for the masses of other FX series exclusives like Sons of Anarchy and American Horror Story. 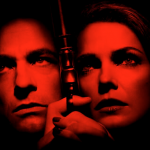 However, the spy drama which stars Keri Russell and Matthew Rhys as a pair of deep-cover Soviet KGB spies disguises as a typical Washington, DC couple whose children, neighbors, coworkers and friends are completely unaware of their activities. At home, they’re the stereotypical parents of stereotypical kids at work, they pose as travel agents but at night, they strategize a web of confidants, lovers, dupes, and historical figures from the Ronald Reagan-era Cold War. The startlingly realistic plot twists force the viewer to consider the real cost of an undeclared war, what it takes to protect one’s beliefs, if it’s worth it, and if it actually worked for either side. Posing as a married American couple during the Cold War has managed to carve itself a strong position among viewers and an emotional fan-based all of its own. Did you know that Joseph Weisberg created the show. Weisberg worked in the CIA’s directorate of operations from 1990 to 1994. As a former agent, any script written by Weisberg must go in front of the CIA Publications Review Board. The foundation of this series is partly based on the true story that broke in 2010 of a cell of Russian Sleeper agents who had been “hiding in plain sight” in the United States for decades. Several of them had had children, colleagues, friends, and neighbors who all had no idea that they were spies. These agents were ultimately returned to Russia in a trade for some Americans who were being held by Russia. The pair have been back on set, filming the third season of the FX drama which is slated to premiere in January 28, 2015. However, they have been extremely coy about their relationship, with Matthew claiming in a June interview that their romance was just an ‘initial publicity smoke screen. ‘Not dating. We just fancy each other,’ Matthew joked. The publication then asked if they were officially ‘not commenting’ on the reports.